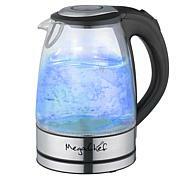 Make all your favorite hot beverages and more with this attractive tea kettle. 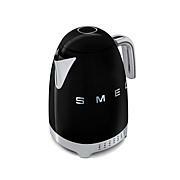 It has a sleek design with a stainless steel finish that looks great in any kitchen. Heat up water worry-free with the auto shutoff feature. You'll love how cleanup is a breeze with the removable and washable filter, and they'll be less messes with the drip-free spout. Spot of tea, anyone? 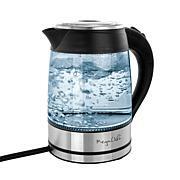 This electric kettle is the best I ever had. 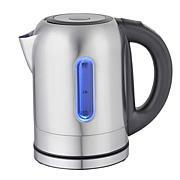 It heats up quickly and keeps the water warm for sometime. It is compact and very attractive with its blue light. This is a perfect inexpensive gift that anyone can use and appreciate. I cant really review this item. HSN sent the cheaper glass model instead. However, the glass is nice.